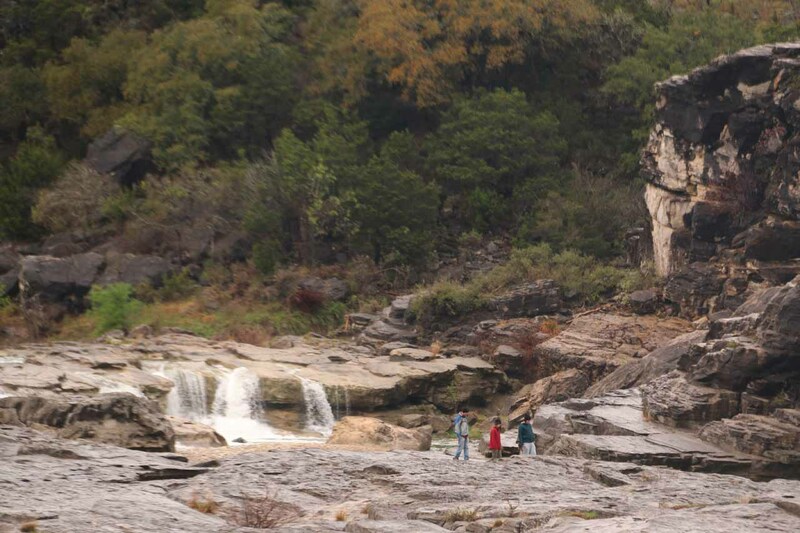 Pedernales Falls seemed to us to be a series of smaller cascades and waterslides. We actually thought that as a waterfalling attraction, it seemed to stretch the definition of a waterfall since its uppermost tier came the closest to having a somewhat steep drop. The rest of the drops were really more like waterslides and chutes. 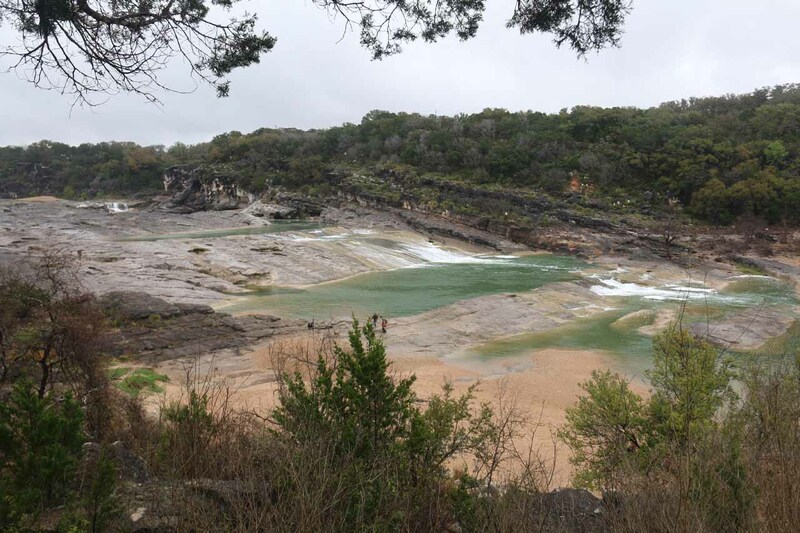 And while it was very tempting to get into the Pedernales River for a swim around the falls, the permitted area for swimming, wading, tubing, etc. was actually well downstream and out-of-sight from the falls (closer to the Sponsored Youth Camping Area – see directions below). 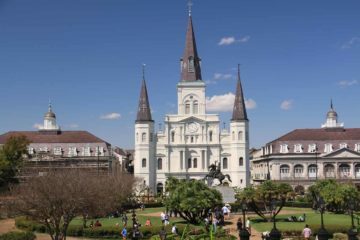 That said, we felt the cliff and rock formations around the falls itself added to its scenic allure as there were smooth slanted slabs of bedrock and cliffs suggesting that there was a history of geologic upheaval here. 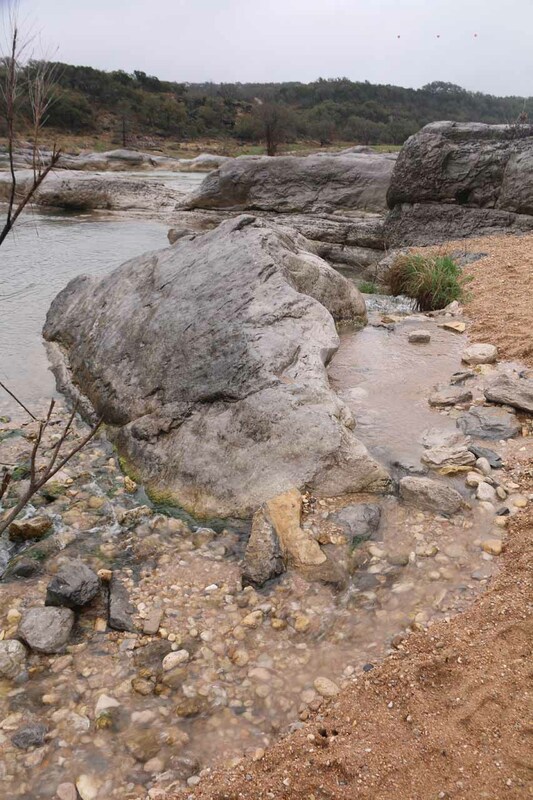 And while we’re on the topic of rocks, the word pedernales was said to be the Spanish word for flint as hard chunks of rock could be found around the river. 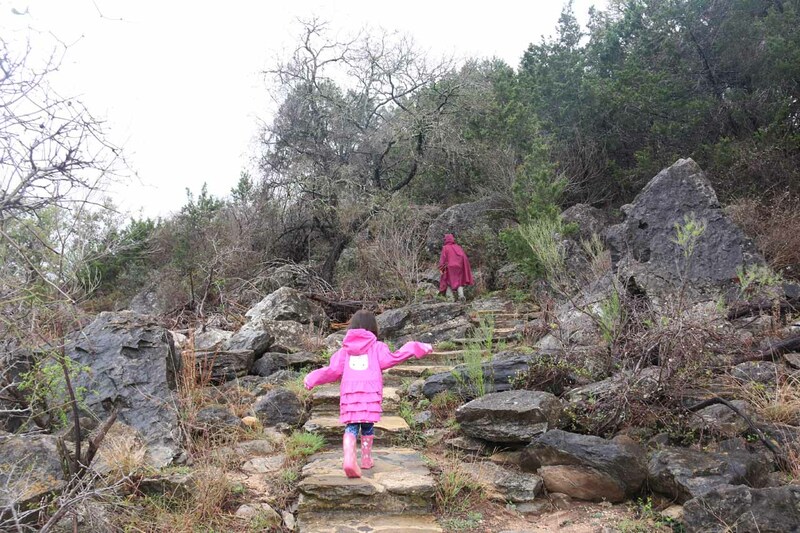 Accessing Pedernales Falls was pretty straightforward. From the car park dedicated to the falls (past the park headquarters – see directions below), we walked down a wide and obvious trail towards a fork. 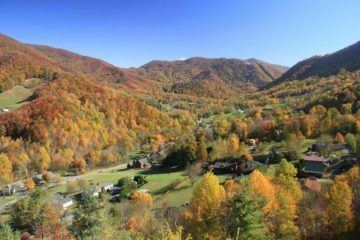 We kept left at the fork, which led us straight to an overlook of all the upper tiers of the waterfall (shown at the top of this page). 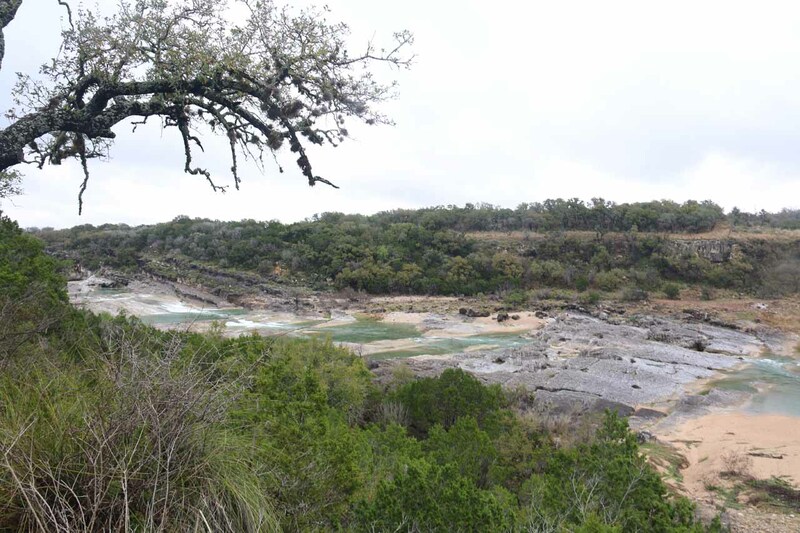 Going right at this fork led to a different overlook with more of a downstream view towards the lowermost drops of the Pedernales Falls. Both overlooks were about a quarter-mile from the car park. 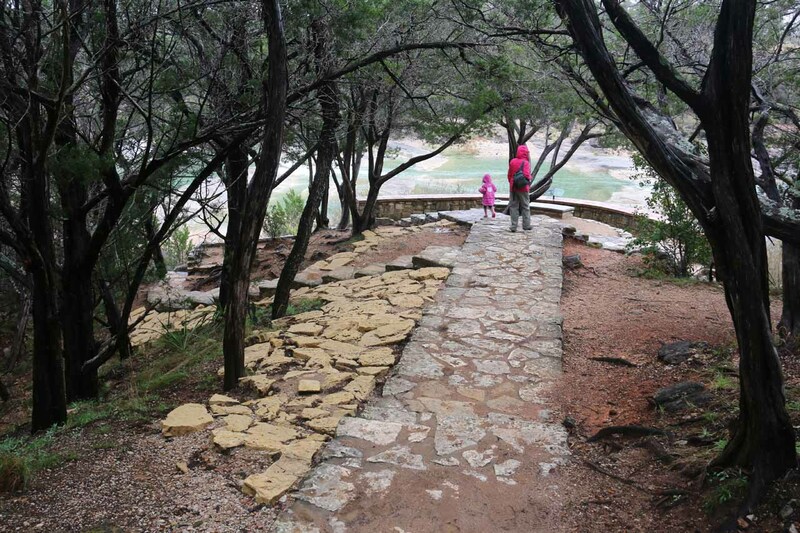 On the left side of the viewpoint at the left trail fork, there was a combination of steps and a trail that descended to the banks of the Pedernales River for a closer look at the falls, the geology, and the plunge pools. 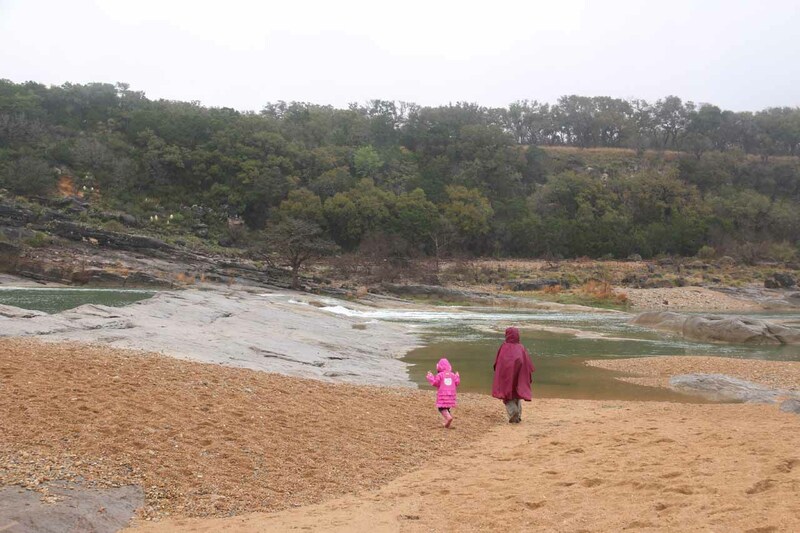 Our visit happened to have taken place during a week of persistent rains that rejuvenated the otherwise lackluster Pedernales River, which suffered from a lack of precipitation (and abundance of abnormally warm temperatures) for most of the Winter of 2016. 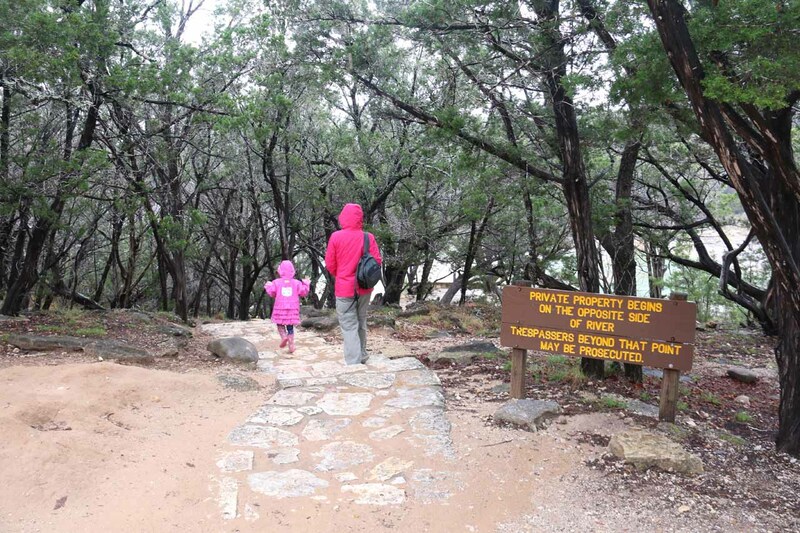 That rainfall made the waterfalling experience more photo worthy, but it also made the rocks very slippery. 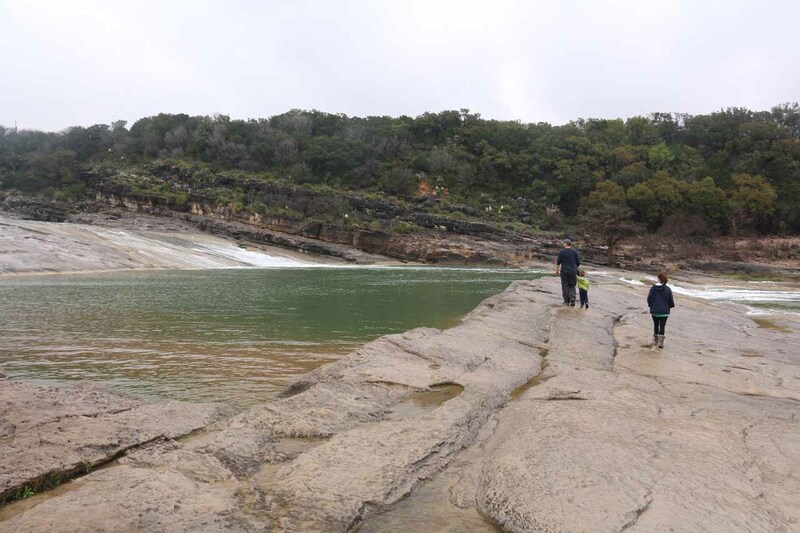 Under less slick conditions, it definitely would have been worthwhile to scramble around and explore all the different tiers of the Pedernales Falls (especially the uppermost tier, which seemed to have the most vertical drop although it was probably no more than 15ft or so). However, while exploring around the near side of the Pedernales River, we did chance upon an interesting spring that produced a small 5ft cascade. 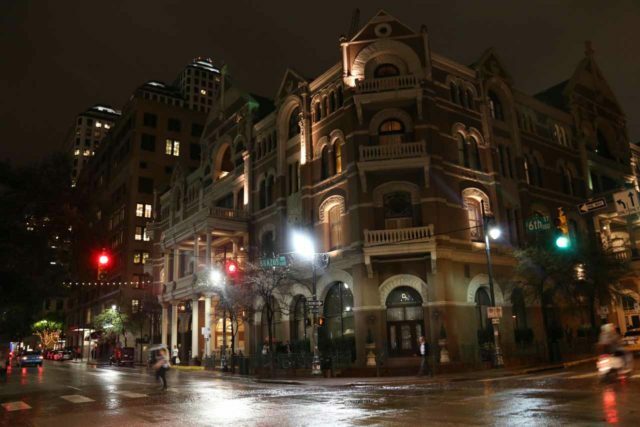 We weren’t sure if this spring was a permanent feature or merely a consequence of the abundant rainfall throughout the week. 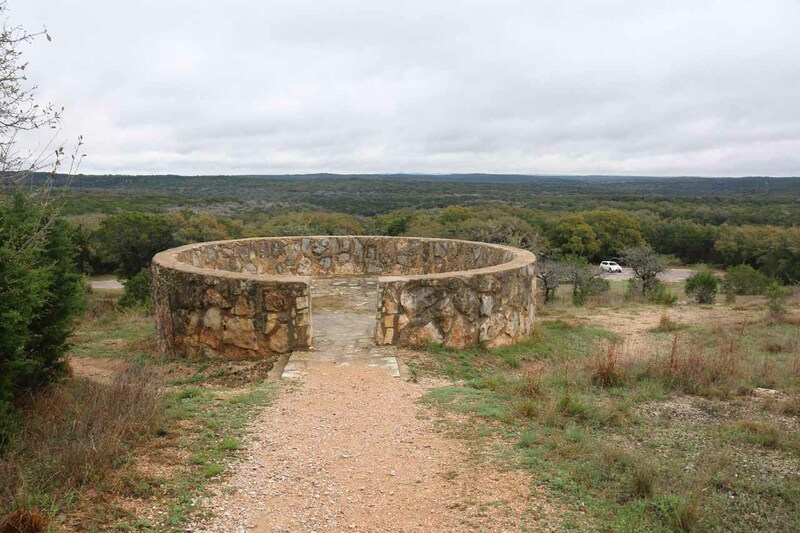 In any case, most of our time spent at the falls was pretty much around this intriguing spring. 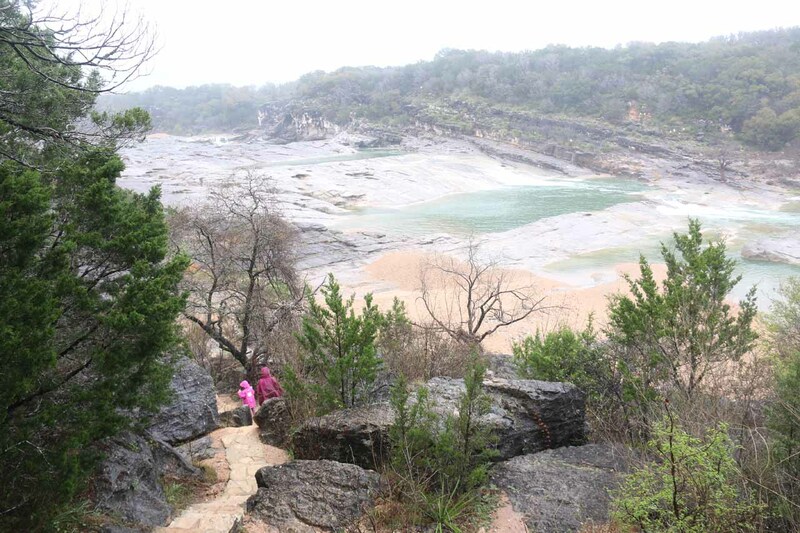 Back at the first overlook, there was also some stairs and a less formal trail leading further downstream to the banks of the Pedernales River. 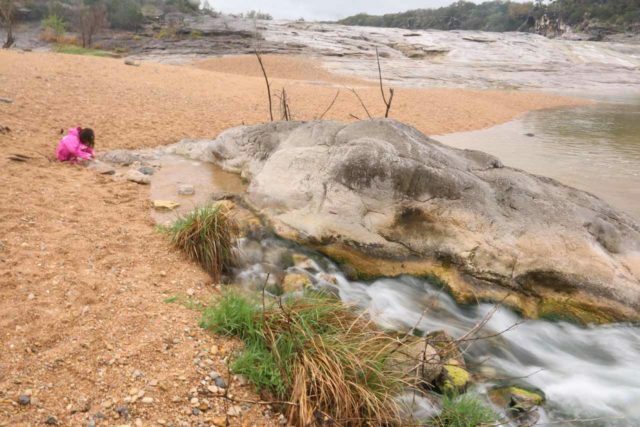 This one seemed to reach the lower waterfall’s tiers as well as a somewhat sandy area that seemed like a little bit of a beach. 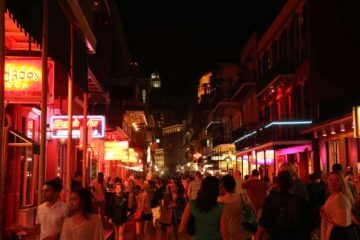 Overall, we spent a little over an hour away from the car. 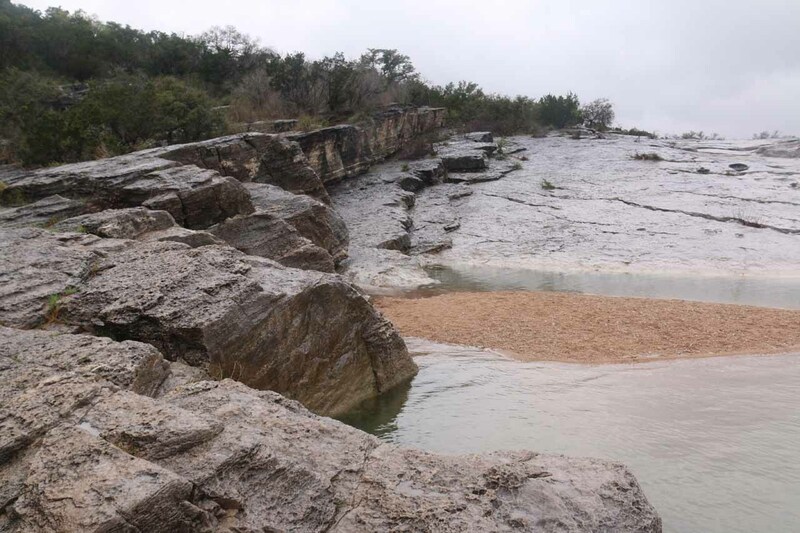 In addition to passing on scrambling on the rocks to get closer to the remaining waterfalls making up the Pedernales Falls, we also passed on visiting the nearby Twin Falls, which was on a temporary creek next to the camping area (accessed between campsites 19 and 21). 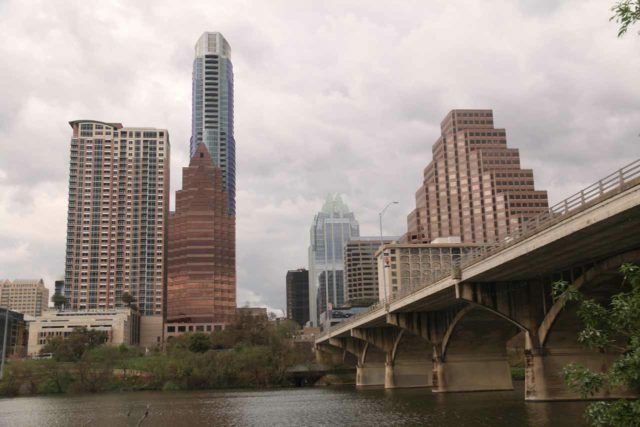 Since we based ourselves in Austin, we’ll describe the driving directions from there. We began by heading west on the Hwy 290, which stopped becoming a freeway towards the western outskirts of the city (west of the 1-Loop junction and east of the Route 71 intersection). We then continued west on the route 290 for another 23 miles beyond the Route 71 intersection. 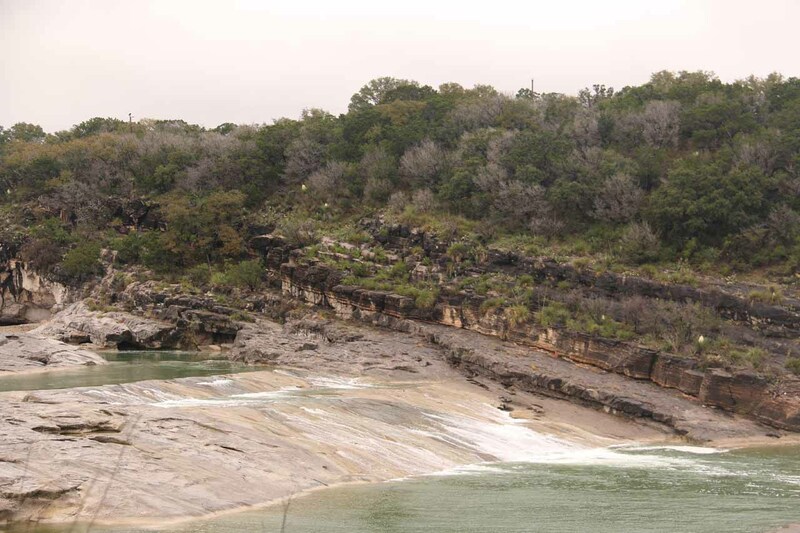 At that point, we turned right onto Hwy 3232 (there was a brown sign pointing the way for Pedernales Falls State Park). We then continued north on the Hwy 3232 for roughly 6.5 miles before it reached a three-way intersection with Hwy 2766. We turned right onto Hwy 2766, then we turned immediately left onto Park Road (again, there were brown signs pointing the way). 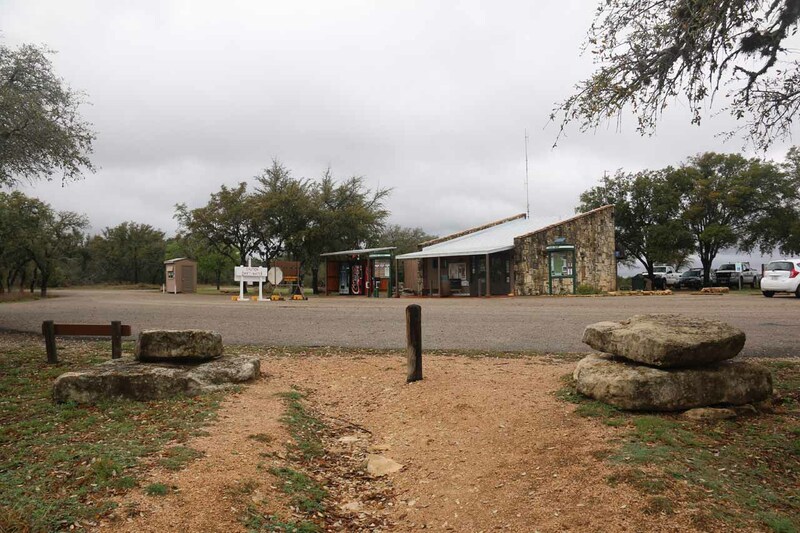 Continuing north on Park Road for the next 2.5 miles or so, we found ourselves at the Park Headquarters, where we were supposed to pay the day use fee for Texas State Parks (about $6 per adult during our visit in March 2016). 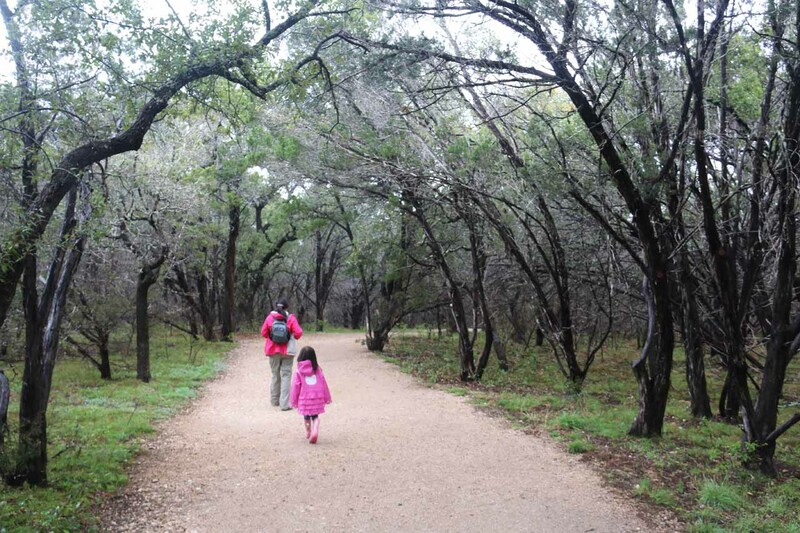 However, we had already paid for the day use fee at McKinney Falls State Park earlier in the morning so we didn’t need to pay the fee again. Beyond the Park Headquarters, the Park Road continued for another 2 miles. 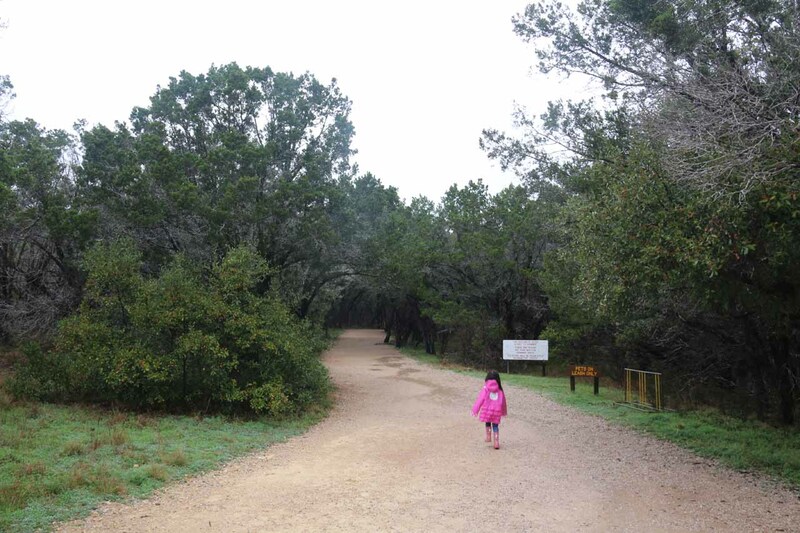 There were other spur roads along the way (including a spur road leading to the campground at 0.7 miles from the Park Headquarters), but we didn’t take them during our visit. 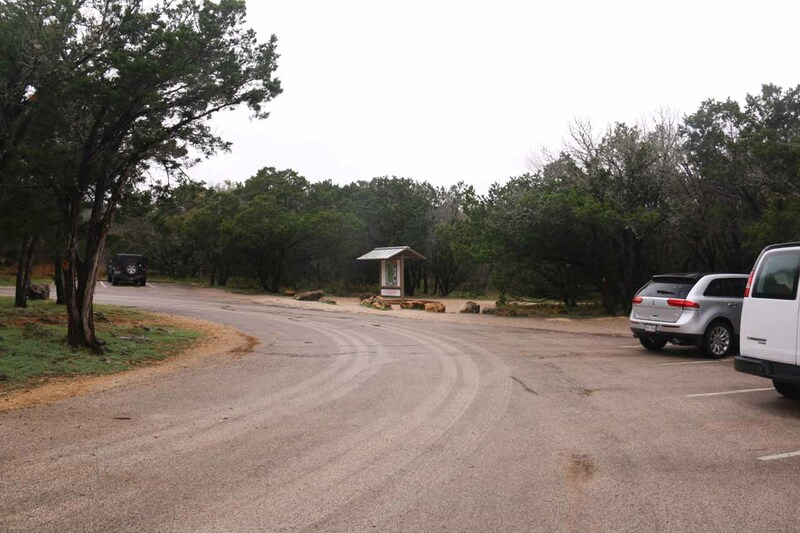 The car park and trailhead for Pedernales Falls was at the end of Park Road. 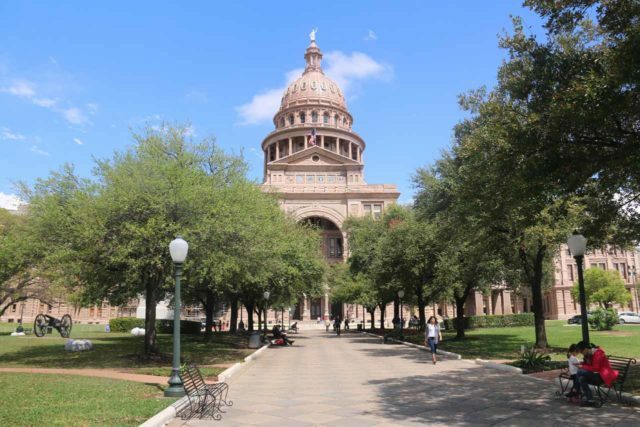 Overall, this drive took us about 75 minutes from McKinney Falls (roughly an hour from downtown Austin).